Zeald offers email services as a convenience to clients. Do note that it is not as robust as the services offered by other providers as it is pared down for ease of use and simplicity. NOTE: To know how much our domain name and email hosting service costs, its features and limitations – in particular the fact that we do not provide an outgoing SMTP server (important to note if you have an ISP who does not provide this), refer to Zeald Domain Name Hosting Costs. 1. Log in to portal.zeald.com. 2. 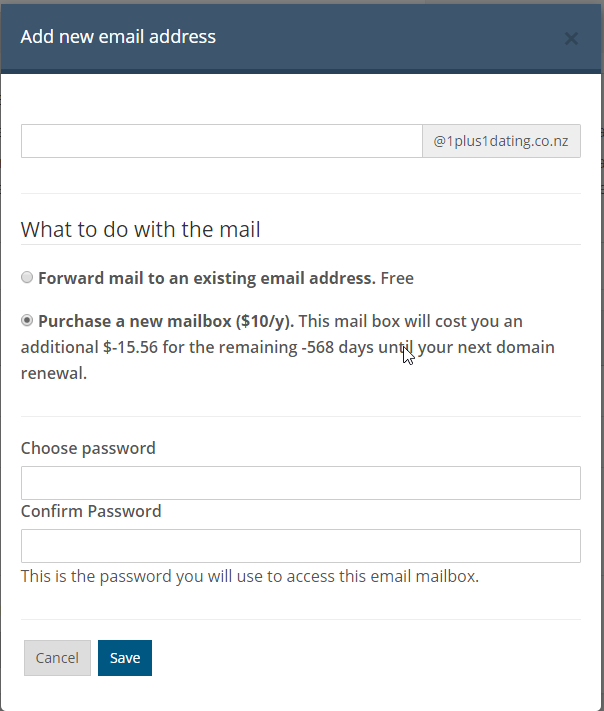 Once logged in, click the Add New Email Address button under the Email Addresses portion. 3.Select Purchase a new mailbox and fill out the required field. 4. Once done, click Save.